Create camping memories that last a lifetime. 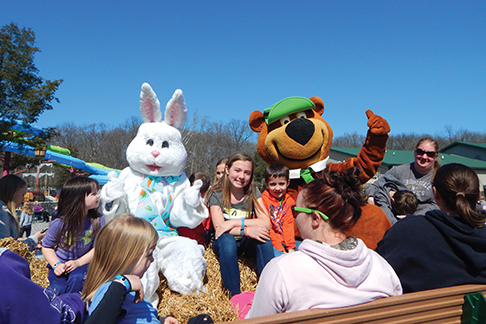 Celebrate Easter at Jellystone Park™ with an Easter egg hunt, pictures with the Easter Bunny, and tons of hippity-hoppity games! Egg-cited?! 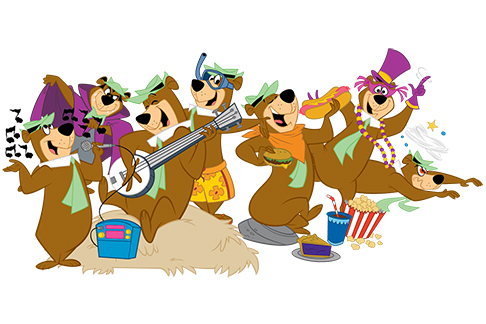 Find Yogi Bear™ this weekend and give him lots of hugs! He’ll be hosting games, taking photos, and having a blast all weekend long—join us! 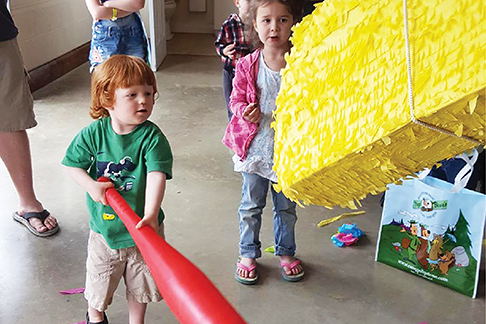 Time to turn up the heat with a little fútbol, piñatas, and festive arts & crafts! Compete in our hot chili pepper contest, too! Cabins & Campsites | Available April 12-June 13 & Sept. 2-Nov. 24 | Add a Thursday or Sunday to your weekend stay & save on the 3rd night! Use promo code: EXTFUN at check-out. *Holiday 4th night bonus (add a Thursday or Monday): Memorial Day, Labor Day, & Columbus Day weekends. Not valid for Saturday arrivals or departures. Cabins & Campsites | Available April 12-June 13 & Sept. 2-Nov. 24 | Buy 3 nights, get the 4th FREE! Use promo code: BONUS at check-out. *Excludes Memorial Day Weekend, Labor Day Weekend, and Columbus Day Weekend. Free night applies to weekday rate (Sunday–Thursday) only. Campsites Only | Available All Season | Camp with us for 5 nights and enjoy 20% OFF! Use promo code: 5NIGHT at check-out. *Must check-in on Sunday during Prime Season to receive discount. Check-in any day, Sunday-Friday, during Shoulder Season. Not valid for Saturday arrivals or departures. Cabins & Campsites | Available All Season | Book a consecutive 7-night stay to take advantage of this deal! Use promo code: 7NIGHT at check-out. *Check in any day, Sunday-Friday. Not valid for Saturday arrivals or departures. Cabins & Campsites | Available June 14-Sept. 1 | Stay 4 nights this summer and enjoy 10% OFF! Use promo code: 4NIGHT at check-out. *Check-in on Sunday, check-out on Thursday OR check-in on Monday, check-out on Friday. Campsites Only | Available Sept. 5-Sept. 30 | Includes 4 consecutive weekends of camping, plus FREE on-site storage for your RV in-between for one low rate! Campsites Only | Available April 25-May 20 | Includes 4 consecutive weekends of camping, plus FREE on-site storage for your RV in-between for one low rate! 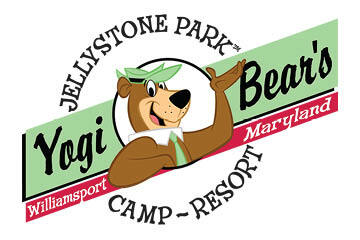 © 2019 YOGI BEAR’S JELLYSTONE PARK™ CAMP-RESORT MARYLAND. All Rights Reserved.